California is similar to the climate and natural environment to the countries of the Mediterranean basin, is one of the most beautiful of the American states to visit, the most popular tourist destinations of the country are the two metropolises of San Francisco and Los Angeles. San Francisco, located on a peninsula between the Pacific Ocean and San Francisco Bay, is considered one of the most beautiful cities of the United States, situated on the hills that give the characteristic undulating roads, with famous bridges like the Golden Gate Bridge and in the center of the bay the island of Alcatraz, bleak prison, which has become a tourist attraction. Los Angeles, sprawling city, is famous for places like Hollywood, Universal Studios, Beverly Hills and Rodeo Drive, and made ​​famous by many movies from places like Malibu and Santa Monica and the amusement park of Disneyland. But the beauty of the California are mostly of nature landscape, no less than seven national parks preserve its nature, the coast along the Pacific Ocean is at times spectacular and is a worthy appetizer of the celebrated Oregon coast, located to the north. Due to the variety of natural landscapes, California is a destination not to be missed for lovers of nature, there are desert areas such as the famous Death Valley, one of the driest places on the planet, the Mojave Desert and Joshua Tree National Park. Very beautiful are the mountainous areas such as the Sierra Nevada where is the Yosemite National Park that encompasses mountain scenery with forests, mountain peaks and waterfalls. 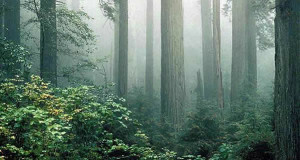 There are wonders of nature as the forests of giant trees redwoods that you can see in the Redwood National Park, along the Pacific coast, and in Sequoia and Kings Canyon National Parks, in the mountains of the Sierra Nevada. In northern California, in Lassen Volcanic National Park, there are craters and crater lakes, off the coast is the Channel Islands National Park, which preserves the nature of a series of semi-desert islands, but rich in wildlife. Work of man but of great charm are the areas of Napa and Sonoma valleys, rich in vineyards where are produced the famous wine of California.